I want version 0.6.9 back. That were the good old stable and "less invasive bugs" days in OSgrid ...... please can we? The 0.7.0.1 and 0.7.0.2 releases were MUCH more stable than 0.6.9 in our experience. The problem has been that we are now trying to use 0.7.1 dev versions for OSGrid to get the important new functionality 0.7.1 will bring. But these dev versions are often unstable and are not yet recognised as a proper stable release remember. I would have to disagree 7.0.1 and such are not as stable as 6.9 was....features was taken out and scripts are screwed up. profiles are gone. Estate controls doesnt work like it says it does. theres alot more bugs than on 6.9 i will wait befor i deside to jump back to 7 versions. Fix the bugs and leave the working ones untouched dont be like sl where the more we update the worse it gets. I just have to agree with 6.9 is the most stable one still. HG jump to hg.danger.osgrid.org:80:Westshore and back from Openvue grid works as at 4-Jan-2011. HG to hg.danger.osgrid.org:80:Westshore and back to tikitronic.com:9000:Miki Kiti Tiki works perfectly. HG to virtual.aiai.ed.ac.uk:8002:Vue-5000 and back to tikitronic.com:9000:Miki Kiti Tiki works perfectly. that version is to old unfortunatly steb8z.. you will need to wait for diva to update her release before being able to HG teleport to OSgrid or Danger grid. Or if I've understood, I can try GIT for newer version ? 13:49:08 - [HG INVENTORY ACCESS MODULE]: HGInventoryAccessModule enabled. 13:49:08 - [HG INVENTORY ACCESS MODULE]: HGInventoryAccessModule configs not found. ProfileServerURI not set! The OpenSim.ini contains these lines... should these be altered if its something served locally? And, if so, where does one obtain profile.php? I note that the OSGRid distribution OpenSim.ini file includes the Grid architecture. 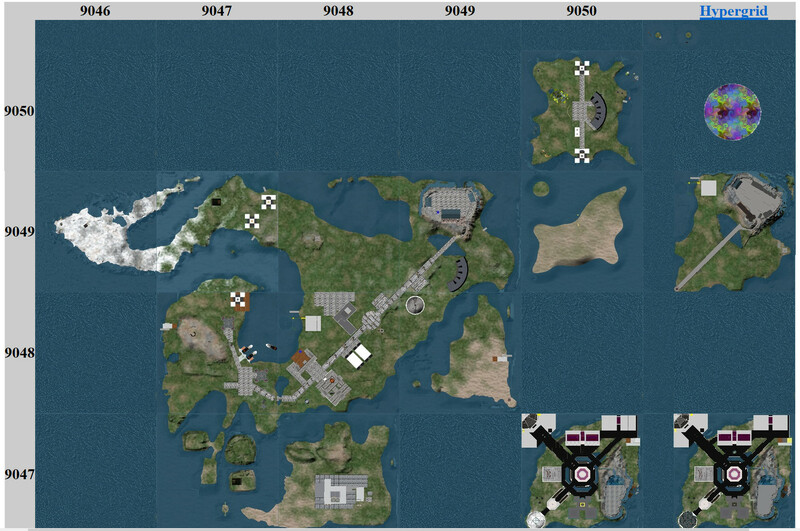 I have been altering that to GridHypergrid each time, assuming that is needed to allow direct HG jumps to my regions. Is this correct? And if so I wonder if that should be the default in the standard distribution? i've downloaded the latest opensim from osgrid website, and running in hypergrid mode. 2011-01-08 23:13:53,499 INFO - OpenSim.Region.CoreModules.Framework.InventoryAccess.HGInventoryAccessModule [HG INVENTORY ACCESS MODULE]: HGInventoryAccessModule enabled. 2011-01-08 23:13:53,500 WARN - OpenSim.Region.CoreModules.Framework.InventoryAccess.HGInventoryAccessModule [HG INVENTORY ACCESS MODULE]: HGInventoryAccessModule configs not found. ProfileServerURI not set!